Our exclusive fruit combo. Two great varieties, packed in one box. 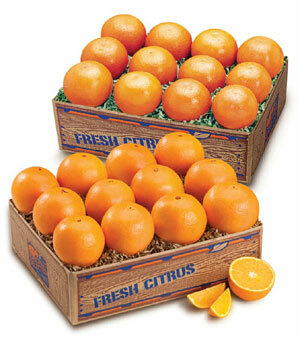 Sweet Florida Tangerines, easy to peel and section and ever popular, seedless Florida Navel Oranges. Everyone will love this gift. Sign up to be notified when Tangerines n Navels are in season. Tangerines and Navels Combo is available November to January to the lower 48 US states and eastern Canada.